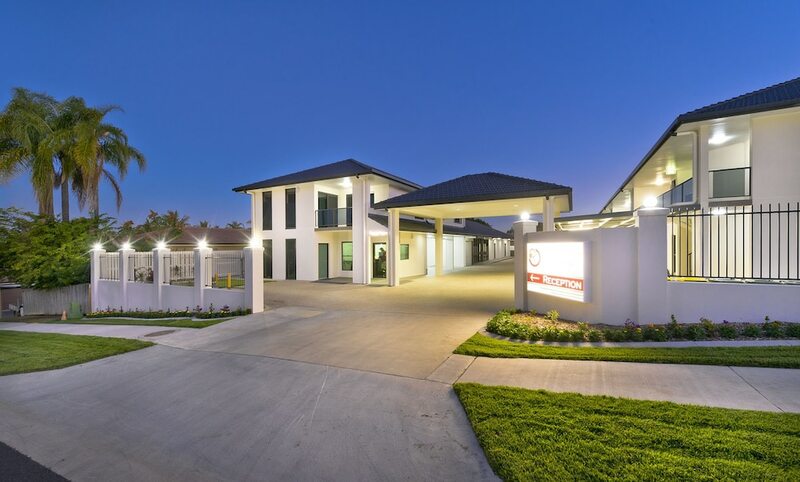 Located in Allenstown, Apartments on Palmer is within a 5-minute drive of Tropic of Capricorn Spire Visitor Information Centre and Rockhampton Botanic Gardens and Zoo. This 4.5-star apartment is 1.5 mi (2.4 km) from Rockhampton Golf Club and 2 mi (3.2 km) from Nissan Navara Arena. Make yourself at home in one of the 22 air-conditioned rooms featuring kitchens with full-sized refrigerators/freezers and ovens. Rooms have private furnished balconies or patios. 102-cm flat-screen televisions with cable programming provide entertainment, while complimentary wireless Internet access keeps you connected. Conveniences include desks and complimentary newspapers, and housekeeping is provided weekly. Grab a bite to eat at The Ferns, a restaurant which features a bar, or stay in and take advantage of the room service (during limited hours). Continental breakfasts are served on weekdays from 6 AM to 8 AM and on weekends from 6:30 AM to 8 AM for a fee.